Three of our board members visited the Children's Hospital Colorado on July 30, 2018. We attended to donate to Alisa Lee Sherick, MD and her research at Children's. Three of our board members (from the right) Regina Siddiqui, Sandy Dizdar, and Saeed Siddiqui, with Alisa Lee Sherick, MD (left). The research that Dr. Sherick is doing is on the MerTK protein that is located on cancer cells, and causes the immune system to not recognize these cancerous cells. 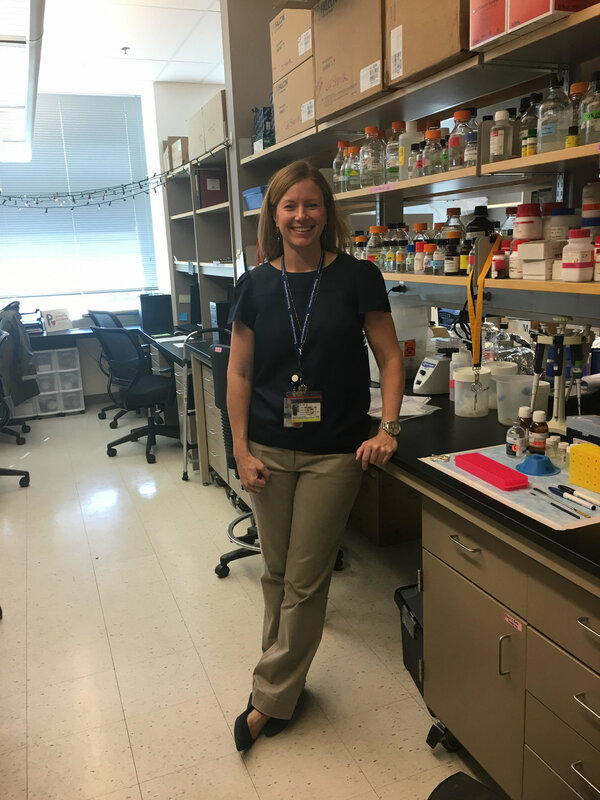 She has a background in immunology which she is using to help the body's own immune system fight the cancer. 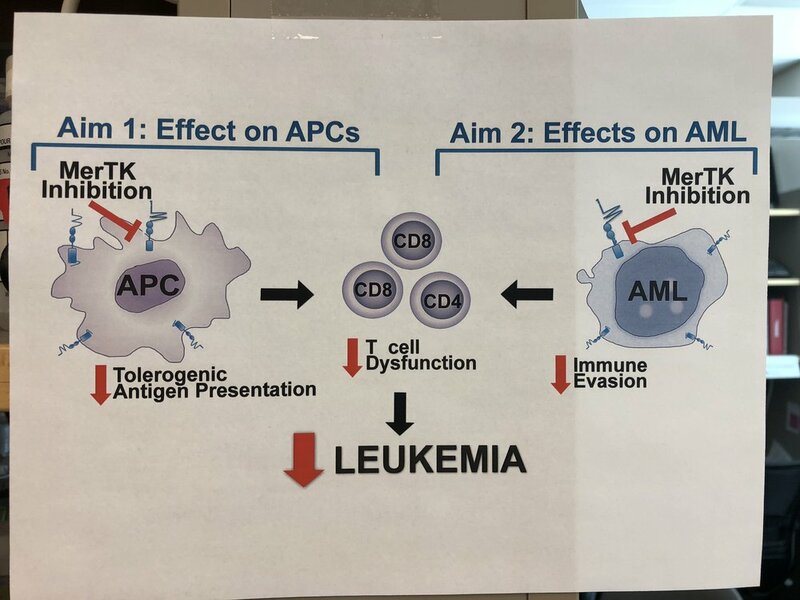 Above is the work that she has already done, with the MerTK protein, showing that when the protein is active, it causes T cell malfunction, and ultimately leads to leukemia.